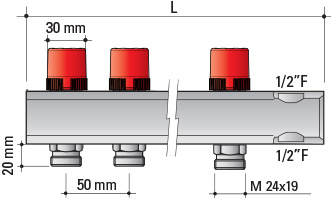 Also available are ball valves, mounting brackets, fittings and Monoblocco pipe connectors for a wide range of pipe types and sizes. 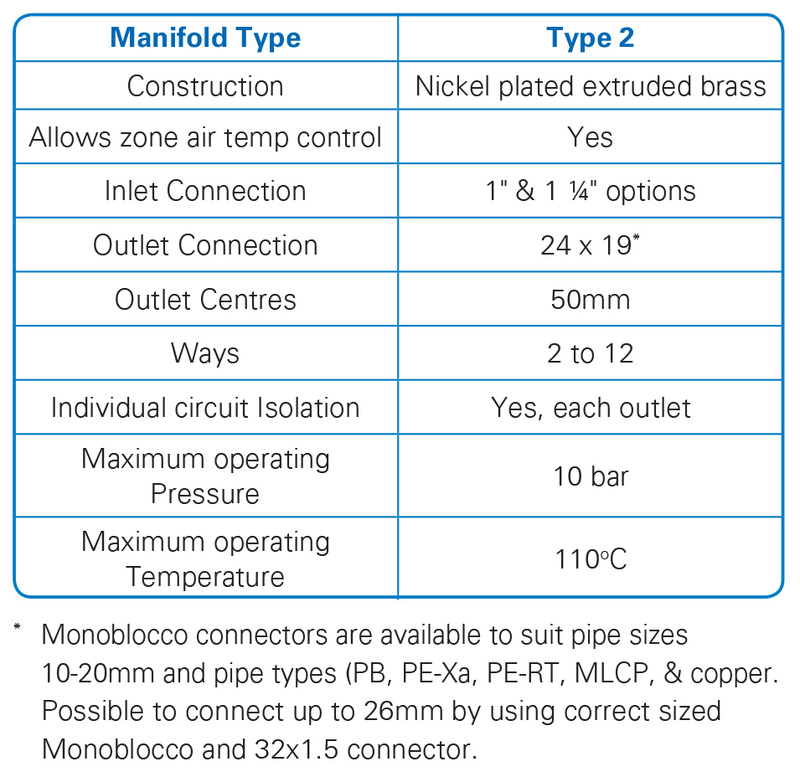 For Ball valves, fittings and Monoblocco pipe connectors for a wide range of pipe types and sizes, see ‘Manifold Accessories‘. Why do I get a bubble in the top of the flow meter? There can be a small residue of air in the top of the flow meter. The higher the filling flow rate, the less air there generally is. As long as it is above the reading scale, it does not affect the reading. Over time, the air dissolves back into the water and will naturally disappear, as it is absorbed into the water. How can I get 22mm take off connections on your Topway manifolds? They are not designed for this, taking pipe only up to 20mm. 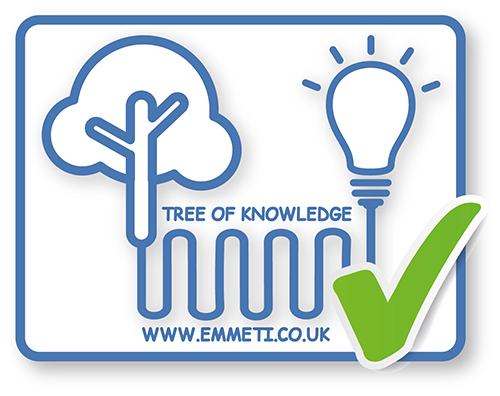 However, if you wish, you can remove our take off connectors, taking care to not exert too much pressure and damaging the manifold in the process. They are factory glued in, but can be removed with care. Replace them with 1/” MBSP x 22mm copper compression connectors manufactured to BSEN 1254-2. We recommend contacting Muller Primaflow (www.muellerprimaflow.com), product code 22009005 brass. What are the temperature & pressure ratings for our Topway T2 maniolfds? How do I clean and flush out an underfloor heating system? Why is the amount of water in the flow meter different on different occasions? The initial amount of air can vary depending on your fill flow rate. Then it will be affected by your pump pressure, the higher the pressure, the less air that will be visible (as air is compressed under pressure). Over time, the air dissolves back into the water and will naturally disappear, as it is absorbed into the water. Does flow affect the amount of water in the flow meter? The initial amount of air can vary depending on your fill flow rate. Then it will be affected by your pump pressure, the higher the pressure, the less air that will be visible (as air is compressed under pressure). Typically, you can evidence this, between when the pump is running, and when the pump is off. Over time, the air dissolves back into the water and will naturally disappear, as it is absorbed into the water.